At our Candelaria location; bring your vinyl, grab a beer, and chill out while we play it for the masses. Sharing is caring! Here's how it works: bring a record to the bartenders and they'll spin it for you and queue up the submissions. Peeps should make sure the vinyl is in good condition so others don't judge them for bringing scratched records. No griping about types of music, we're here to share! 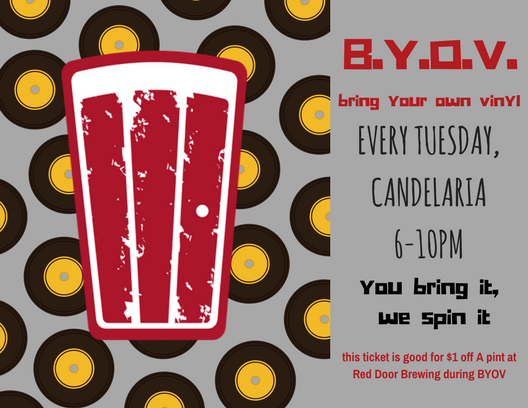 Everyone who brings a record to spin gets a buck off their pint. Cheers! Also, Taco Tuesday with Sidedoor Mobile Kitchen!